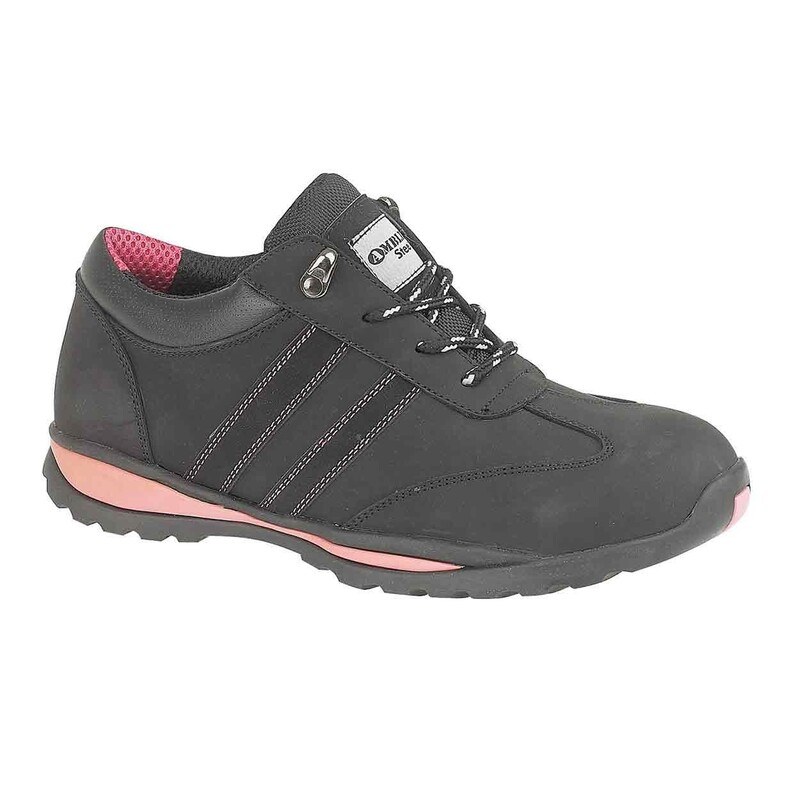 The Footsure FS47 is a ladies modern safety trainer with steel toe cap and midsole protection. It has a stylish black leather upper with slick pink lines, leather overlays and dual fuchsia stitching accents. It boasts a lace-up front with three perforated eyelets and upper speed lacing hooks. It is comfortably lined with textile mesh lining with a supportive padded collar and tongue. Heat resistant rubber sole with front toe bumper. Engineered channels and a central groove on the outsole drains away fluids offering superb slip resistance. The shoe is stylish and well made boxed well too BUT order one size up; I am a size 4, ordered a 5 for my friend but it fits me with thin socks on! Unless you use very thin socks or no socks, get a bigger size than you normally wear.